Little Miami Jr. High teacher Liz Wilkerson (center) receives the Educator of the Year award from the Warren County Soil and Water Conservation District. A Little Miami Junior High School teacher has been recognized for her efforts in promoting conservation efforts and instilling an appreciation for nature in her students. 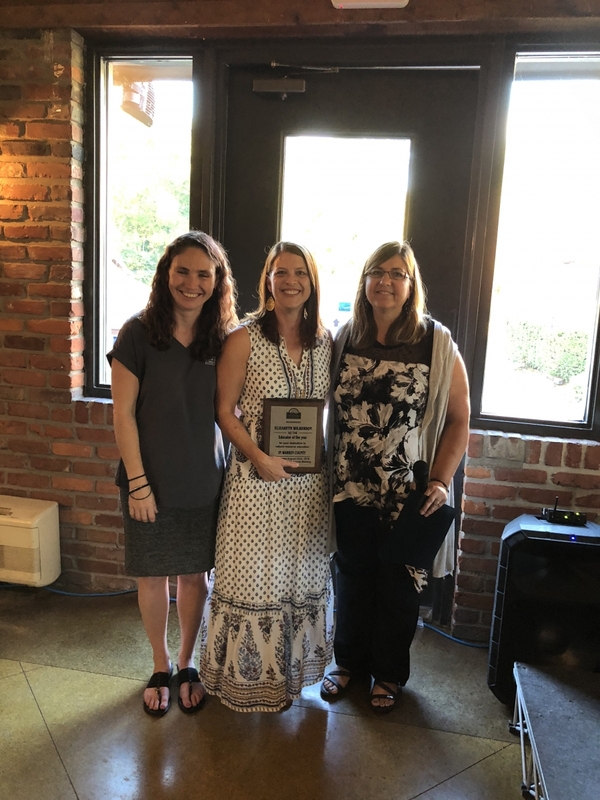 Elizabeth Wilkerson, seventh grade science teacher at LMJH, was recently named Educator of the Year by the Warren County Soil and Water Conservation District. Wilkerson incorporates stream quality monitoring trips into her classroom curriculum and has used the Conservation District as a resource. Prior to the first stream visit, Wilkerson developed a variety of learning stations to help students understand how and why the District collections macroinvertebrate data. Stations also included information on what types of water pollution there are, and which types of pollution are the biggest problem in the local Little Miami River watershed. Wilkerson also established a Nature Club at school to give students additional opportunities to explore local streams and wildlife. Along with the WCSWCD award, Wilkerson also received a recognition letter from Ohio Senator Larry Obhof, the President of the Ohio Senate, and by Senator Steve Wilson of the 7th Senatorial District. Wilkerson, a 15-year teaching veteran and Little Miami alumna, was nominated for the award by several students and parents who appreciated her efforts in the classroom. One student shared that Mrs. Wilkerson’s passion for nature, conservation and learning are evident in her own endeavors. Two Little Miami students also received recognition from the Conservation District. 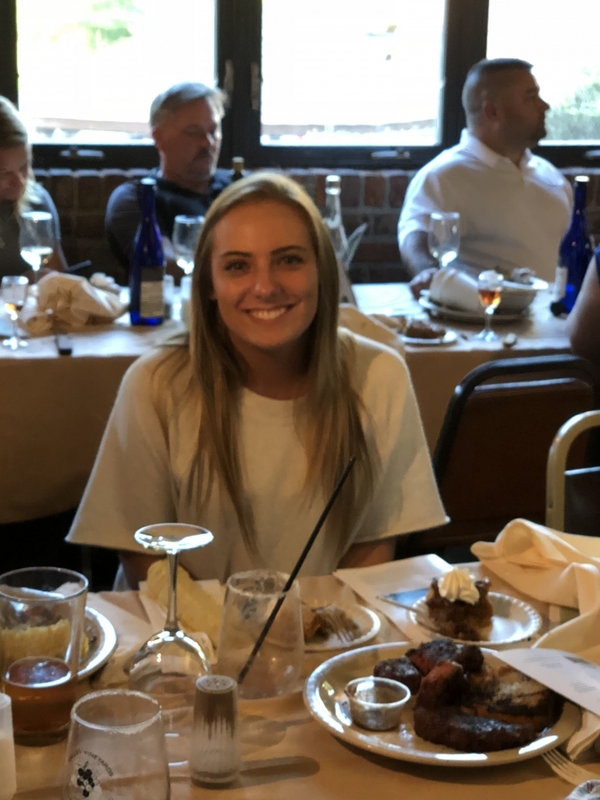 Morgan Tegtmeier was a recipient of the Thomas C. Spellmire Future Conservation Leader Scholarship. Mitchell Stacey was a third year recipient of the WCSWCD camp scholarship. Mitchell attended Camp Canopy last June at the FFA Camp Muskingum in Carroll County, Ohio. All award winners were recognized at the district's annual meeting banquet held on August 22, 2018 at Valley Vineyards in Morrow, Ohio.